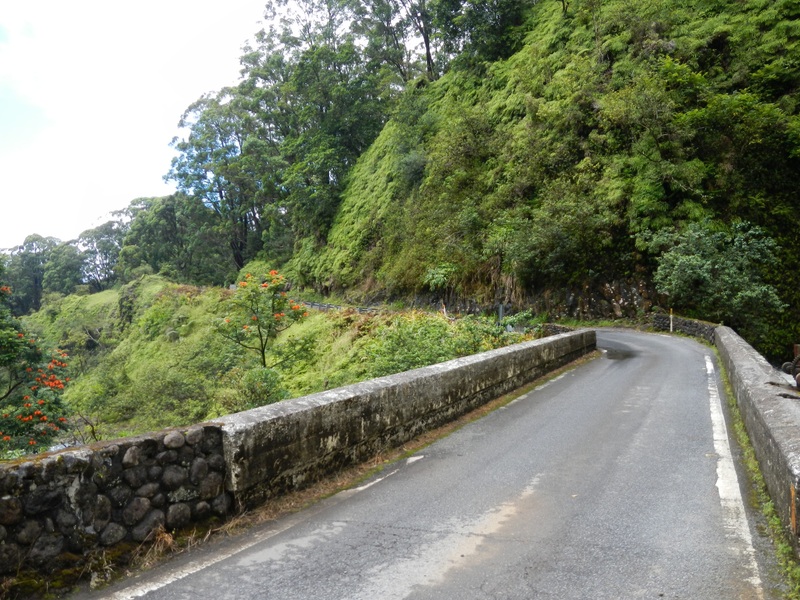 The Road to Hana clings to the side of the Haleakala volcano, skirting Maui’s northern shore for over forty miles from the small town of Paia to Hana. It is considered by many to be one of the most beautiful drives in the world. 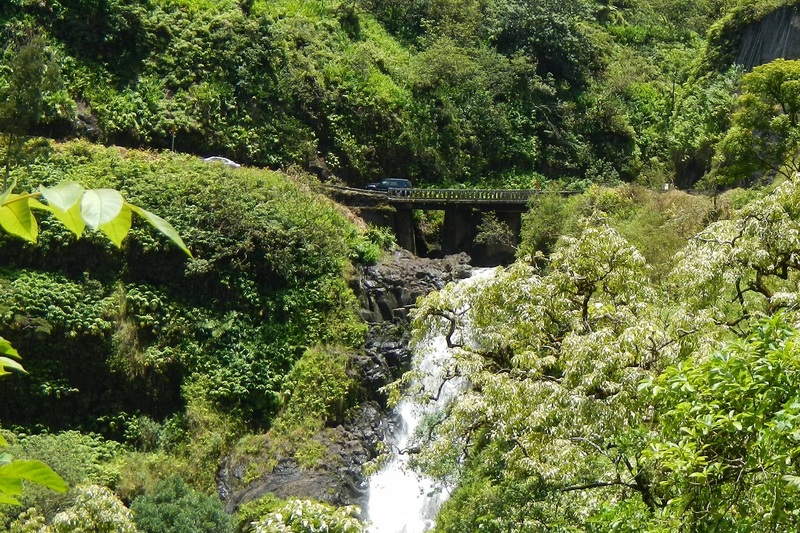 It is one of Maui’s main tourist attractions – as much as a road can be an attraction, that is – on an island which sees over 2.5 million annual visitors. And it was one of the reasons why I was returning to Hawaii. I heard it was raining in the area of the Hana Highway almost nonstop before I arrived on Maui. Others who drove the road were rained out, not even able to get out of their car to see the sights. They complained about it, bitched and moaned, but should never have been surprised – spots on the windward side of the island can receive over 300 inches of rain annually, the most coming higher up in the cloud belt on the mountain. This is what makes the area so stunning, though. Without the rain there would be no waterfalls, no lush forests, and thus none of the incredible scenery for which the road is known. I was fortunate in that I didn’t see a single drop of rain on my whole drive. But, by choice unlike others, I rarely got out of my car. Shortly after setting out on the Road to Hana I fell into a groove. It was that other world I tend to go into while on road trips. The hum of the wheels on the road, the enjoyment of relaxing and see new and exciting things, and the beauty of the area lulled me into a peace I hadn’t felt in a long time. I felt good, happy, and content to let the miles roll under my wheels. 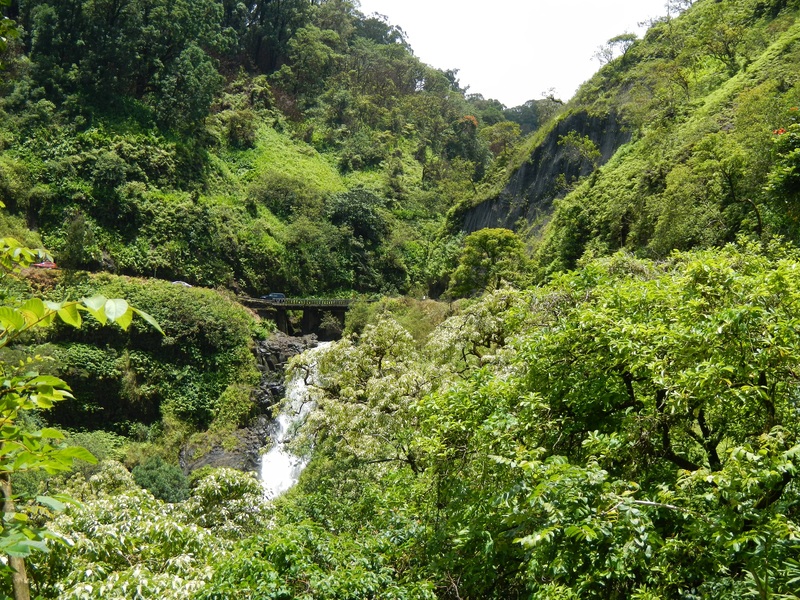 After all, at more than 40 miles in length, there’d surely be more things to see and do on the Road to Hana than what I was missing at the start. I did try to pull off in the beginning of my drive, though, to see the Twin Falls – a waterfall with a fresh water pool at the end of a short trail. But I found no available parking spots. The only thing there was confusion, as motorists tried to figure out where to go. There were other stops I wanted to make, too, but I avoided them just the same. It wasn’t until I got a good distance down the road, away from all of the tourists who set out for a few miles just to say they drove the Road to Hana, that I finally had the freedom to pull over and see a few things. The farther I drove, the more the traffic thinned. 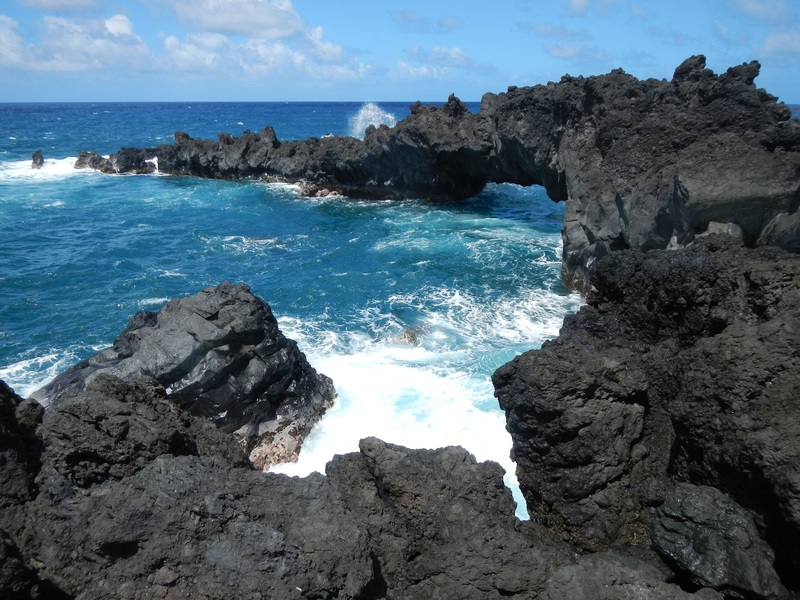 But it wasn’t until after the Kaumahina State Wayside area twelve miles along that I felt I really could relax. But when I stepped out of the car to walk a short trail and admire the view, I felt out of place. I wanted to return to my car, continue on with my journey, because I had begun to feel the road. The ancient Honomanu Valley, the Keanae Arboretum, and the Keani Village all fell in my rearview mirror. I had highlighted them before I set out as stops I needed to make, but I skipped them all. The road itself was the attraction for me, not the places I could stop. So I continued on, only occasionally pulling over to snap photos of the road or the dozens of waterfalls, each one more impressive than the last, which can be found along the road with more than 600 curves, many of them hairpins, and near the more than 50 one-way stone bridges. Finally, I pulled off and headed down a dirt road toward the shore, more than 22 miles along the Road to Hana. I saw a sign pointing to a national historic landmark of some kind. Sadly it was closed. I knew that because a large Hawaiian man in his early twenties stood at the gate and told me so. He said a lot of the other things on the pull off, like access to some small pools and a waterfall on private land, were also closed to the public because of littering. The landowner no longer allowed people onto his property, since they always left trash behind and scratched markings into trees and onto stones. I was disappointed, but I understood. Respect is important on so many levels of Hawaiian culture, and it was obvious some people did not give it. 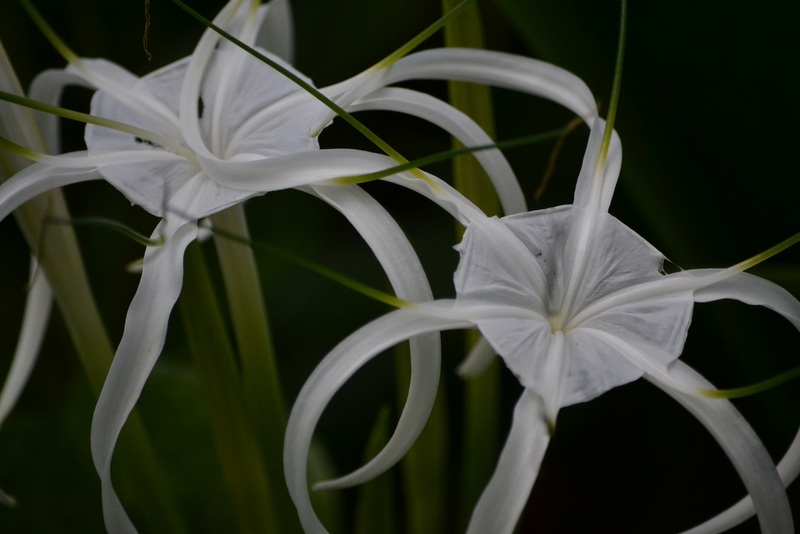 So I turned around and continued along the Hana Highway, annoyed by the stupidity and lack of consideration by others. I skipped the Nahiku Village for no other reason than I didn’t want to stop so soon again. But after driving for a few more miles, I decided I needed to pull over. I had gone on long enough with so few stops. And signs for homemade banana and pineapple bread were driving me crazy. I didn’t want to have some, I needed to have it. So I swung off the road and into Maui’s Best, located between mile markers 31 and 32. The nearby Wainapanapa State Park seemed like a fitting spot to relax and enjoy one of the small loaves I just purchased, so I headed down toward the beach for a little sun and hiking on the rocks. I was hoping to see some sea turtles, too, since signs in the area indicated they frequent the beach, but the sunbathers and swimmers must have chased them away. The same likely held true for the seals. It was too bad they weren’t around, but the beach was incredible and the day crisp and beautiful. Such a setting is why in August 2000 President Bill Clinton had the road rededicated as the Hana Millennium Legacy Trail. And while the highway is on the National Register of Historic Places, it’s really just a fancy name for what is still the Hana Highway. It doesn’t stop, simply come to an end, in the town of Hana, though. It continues on to the eastern end of Haleakala National Park and the Oheo Gulch. 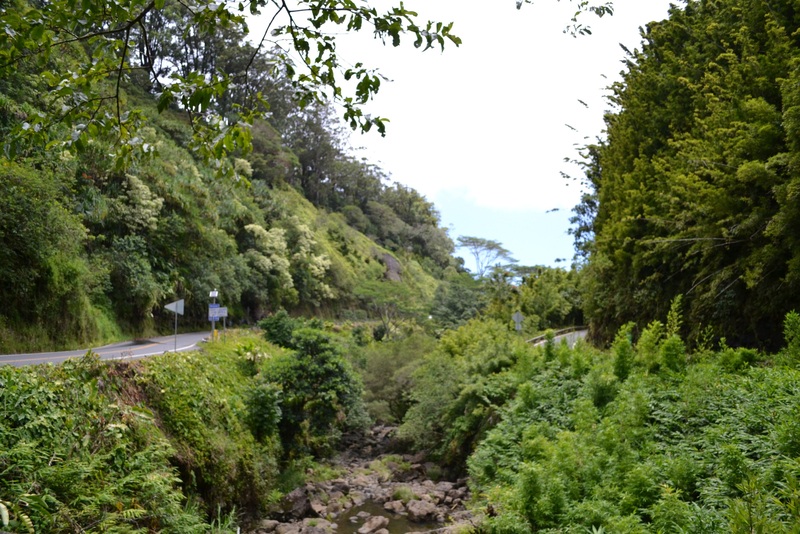 From there it turns into the Piilani Highway, which wraps back around the park and reconnects in Paia. 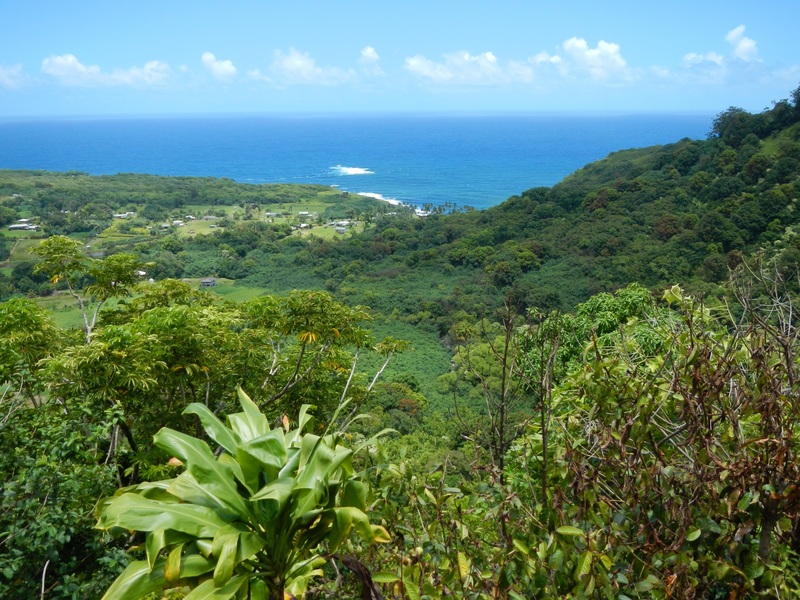 Hana was my goal, so I did not continue on the highway or on to Piilani. 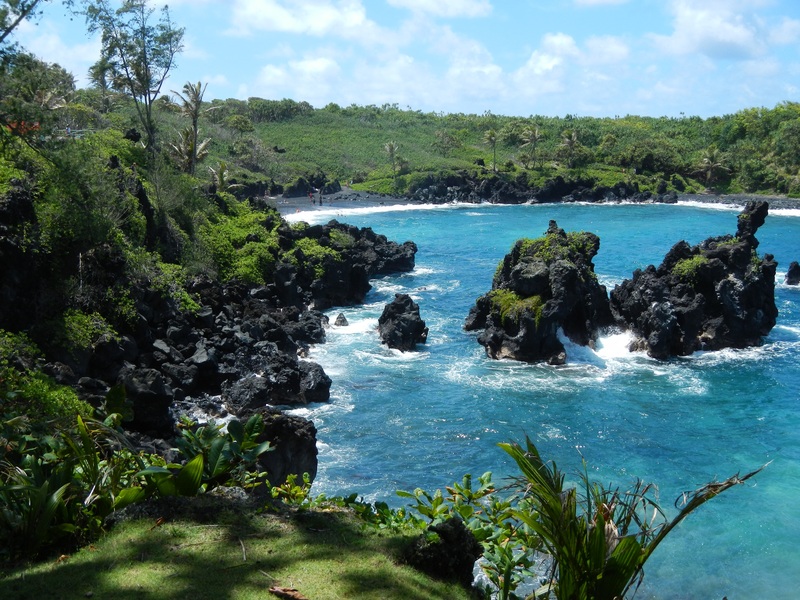 Instead I drove down to Hana Bay and relaxed a while longer at the beach, smelling the sea, sticking my feet in the sand, and soaking in some sun. I had driven for more than three hours, enjoying the road for what it was – one of the most beautiful stretches of tarmac in the world. 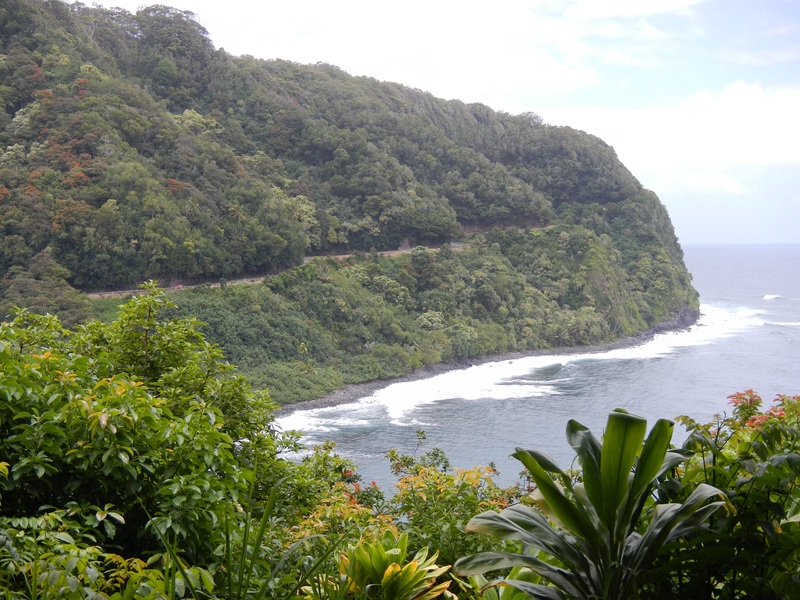 And even though I didn’t want it to be done, it was the end of the Road to Hana for me. I would be spending a couple of nights during my Maui Visitor Bureau trip at the nearby Travaasa resort, exploring the area, and experiencing what makes Hana one of the best places on all of the Hawaiian Islands. Wow, sensational post. I prefer hiking, but I do love a scenic road sometimes. I felt like I was right there with you looking out the window. Thank you very much for your note. I do appreciate it. Agree with Hana Lima, mahalo for touching on that point. The visitor bureau should make it a point to encourage visitors to not follow the suggestions in many of these guide books published by off-island authors about our island. Having a bruddah stand guard to warn off visitors carrying guide books from over-zealous authors who publish step-by-step instructions on how to get to places clearly not meant for them is wrong on so many levels. It especially hurts our children who don’t get to experience some of these wonderful locations like we did when we were their age. On our tours we work hard to educate visitors and give them a greater appreciation of what the land on which we travel. 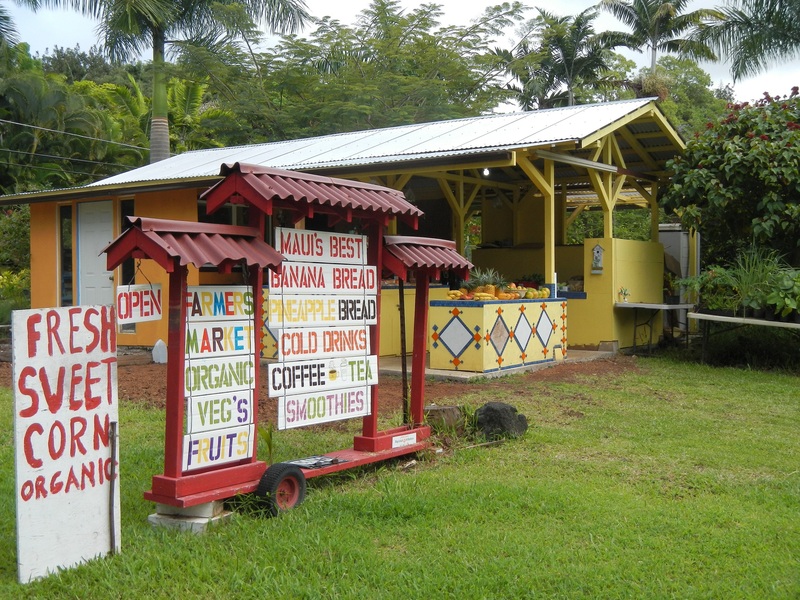 One of our big things is that every visitor we take out to Hana creates no trash, everything we provide is recycled or reused, from the cutlery used at our picnic to the drinks bottles we provide, and even the melted ice-water from the coolers is used to water plants at our Kahului base yard. We know first hand what has happened to some of our most beautiful hidden gems once they are published in a book and the preciousness of all our island resources.